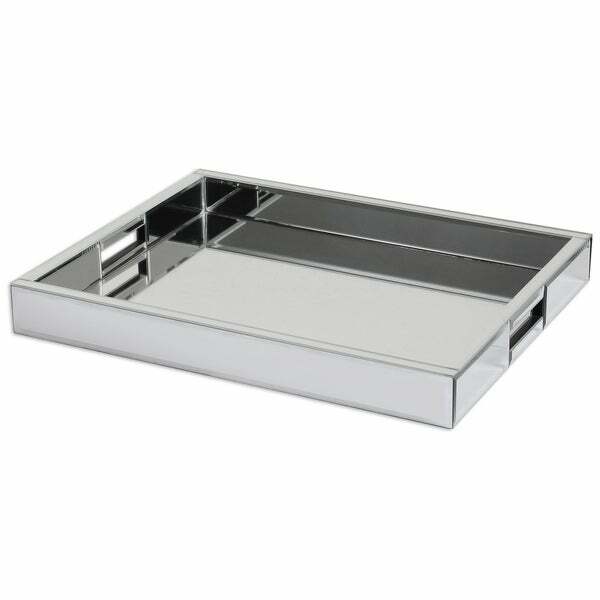 This decorative and functional tray is constructed of multiple mirrors with polished edges for a smooth finish. I love the smooth polished tray, the mirrored look is my favorite. Every site had it so expensive. Overstock price was unbelievable. I was so happy I was finally able to buy it. Very elegant, I got many compliments!! Very elegant I got many compliments to my living room table! The materials great and is heavy!! I will recommend this tray!!! Love trey! It is very class looking and great quality. Add elegance to any room! Heavy weight, nice product but very expensive.